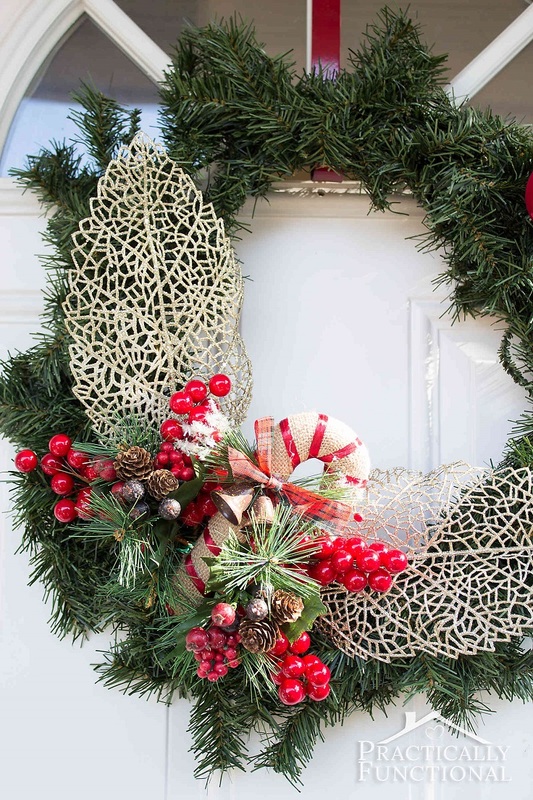 One of the most popular decoration during winter is certainly the door wreath. It is the perfect way to add some interesting decor outside the house, plus it doesn’t take too much space or money – especially if you do it yourself. 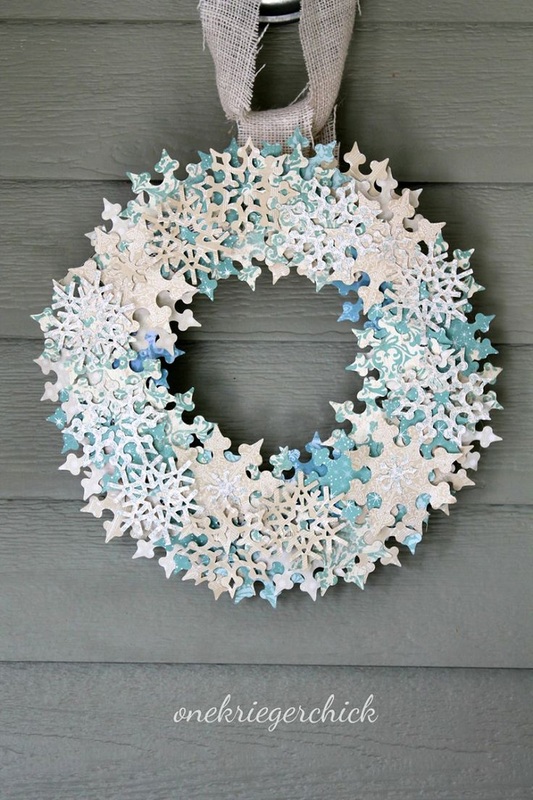 In this article we are sharing ten DIY wreaths that will definitely contribute into making your home a winter wonderland, at least from the outside! They are very easy project and some of them you can even make together with your children. Have fun! 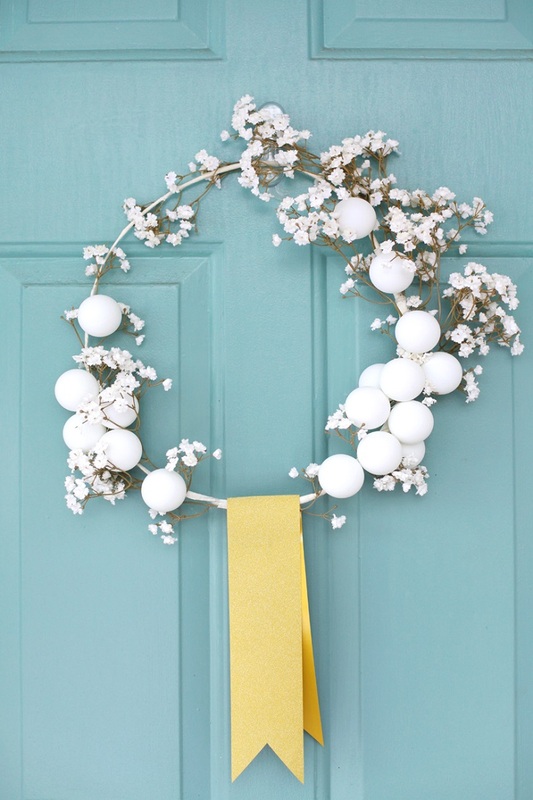 Ping pong balls can actually be useful when it comes to winter wreaths! In fact, they can be such a nice detail between all the other elements. 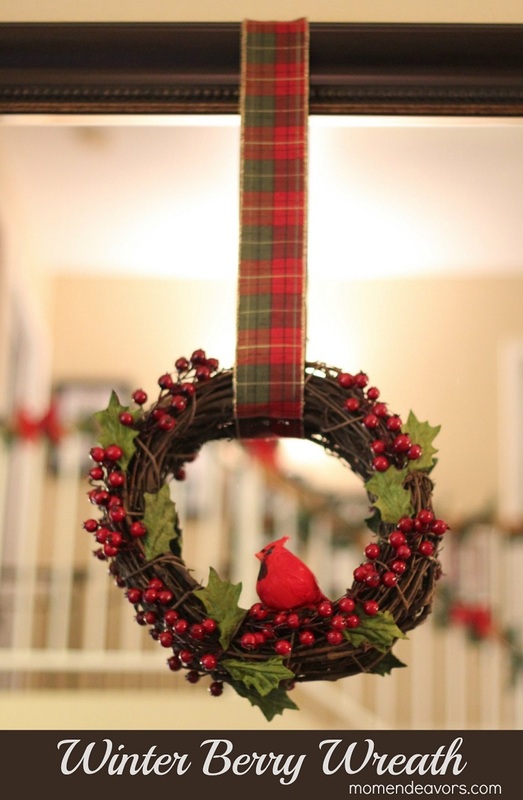 If you like this wreath, you’ll need power drill or awl tool (be careful with these! ), metal pliers, white florist wire, white florist tape, coat hanger, artificial baby’s breath or similar whispy flower, white ping pong balls, 2/3 yard of wide ribbon, scissors and hot glue gun (optional). One of the things that really remind us of winter and holidays are exactly the berries. They can be seen so often to store-bought decorations, so why not use them for your homemade wreath as well? You will need a basic grapevine wreath, berry stems and fake leaves. You can also add a burlap or Christmas ribbon. As natural as it can be and without too many decorations on it, this wreath has a large grapevine for a base that is spray painted with gold spray paint. It has one coat, but if you want to make it more golden, just add few more coats. You can tuck faux branches and secure them with fishing wire. 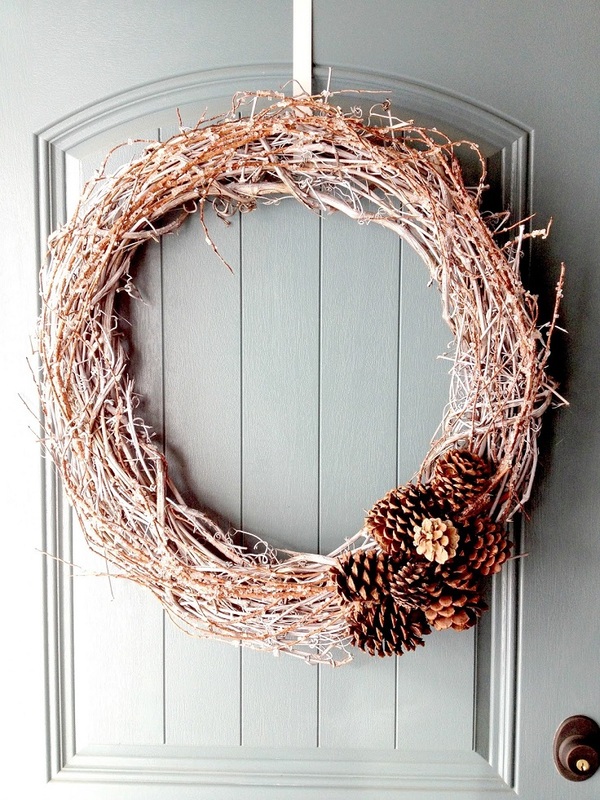 To add a rustic feeling, glue pinecones to the wreath. 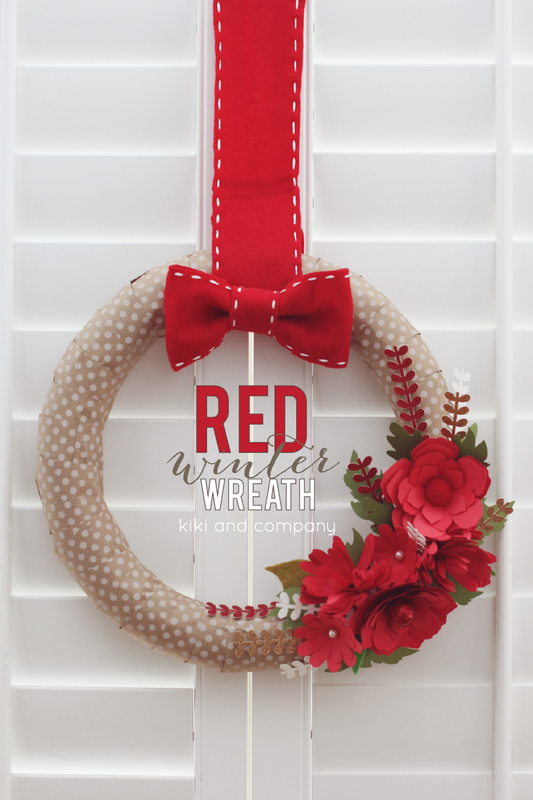 For this project you will need a foam wreath and wrap it with a kraft paper. You can choose any theme you want, or you can go after polka dots as pictured. After this step, start with adding flowers and leaves, which are the main detail to this wreath. You can play with their color and their shape – you can make them red and big as pictured. 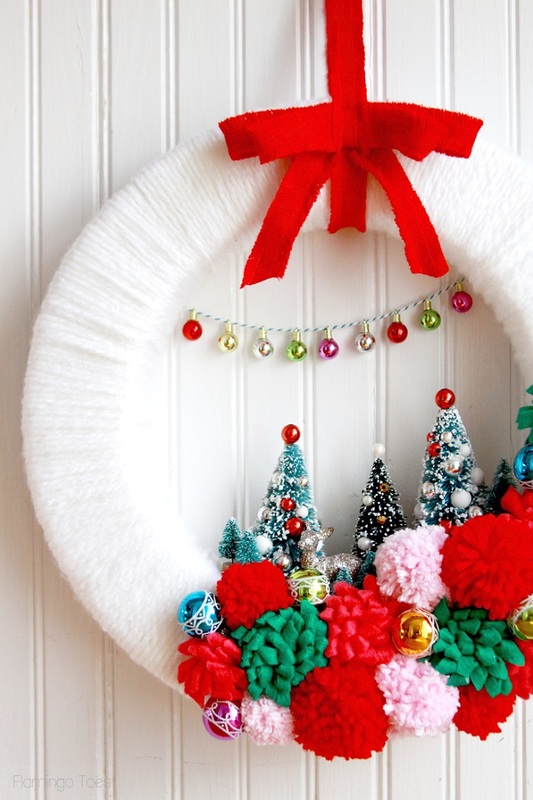 A very expensive-looking wreath that you can make easily at home! From tools you need long nose pliers with wire cutter and wreath hanger, while the materials that you need to make this wonderful winter wreath are the following – work wreath form, greenery and decor picks, plain 9 ft. garland and floral wire. This wreath is really a beautiful piece and it’s amazing that you don’t have to spend the whole budget on a store-bought wreath! 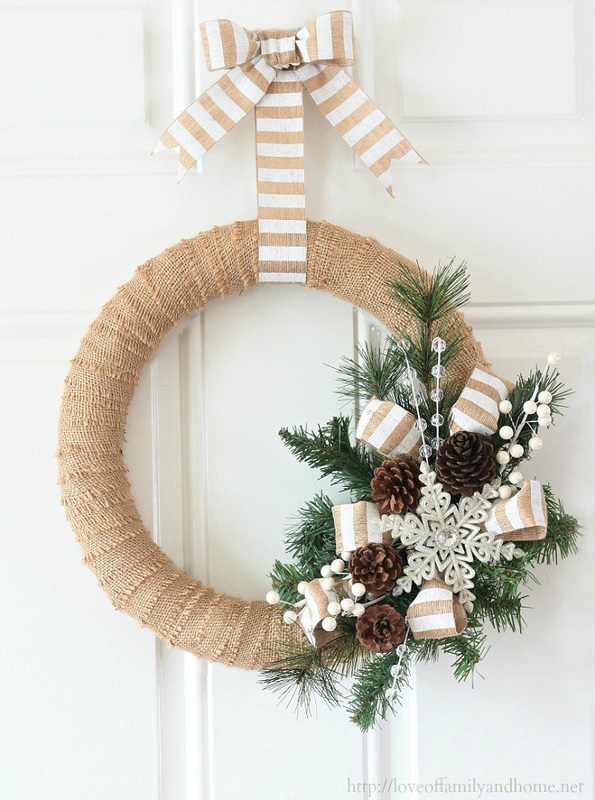 This wreath is the perfect combination of burlap, greenery and pinecones. All three materials really match the Christmas atmosphere and they can even add a little rustic touch as well. For this wreath, make sure you have 14″ styrofoam wreath form, 1/2 yard of burlap (approximate), Christmas picks, sprays and ornaments, ribbon, hot glue, jute and twine. What a nice way to add a winter feeling to a wreath! The snowflakes are surely great way to achieve it, and they are certainly fun crafts that you can make together with your children. For that, you need wreath form, you can use wire or foam wreath, patterned paper, glue gun, small scissors, snowflake punch or cutting machine and fabric or crepe paper strips. For all vintage lovers out there – here’s the prettiest vintage wreath for you! Step by step, you can make it yourself. First start with getting all the needed materials – wreath form, fabric for wrapping foam, yarn – something chunky and soft, more yarn for pom poms, felt for flowers, ornaments such as mini bottle brush trees, deer or anything that you would like, , baker’s twine and ribbon, hot glue and pins. This is a really budget-friendly wreath, you just need four items – wire cutters, prunners, paddle wire and wire wreath form. 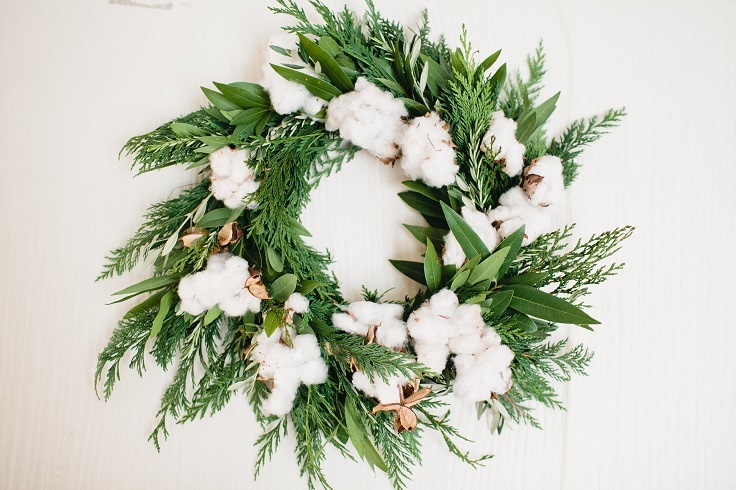 You will also need greenery, such as olive branches, rosemary and bay laurel, and you will also need cotton as the main detail to achieve the winter-y theme. 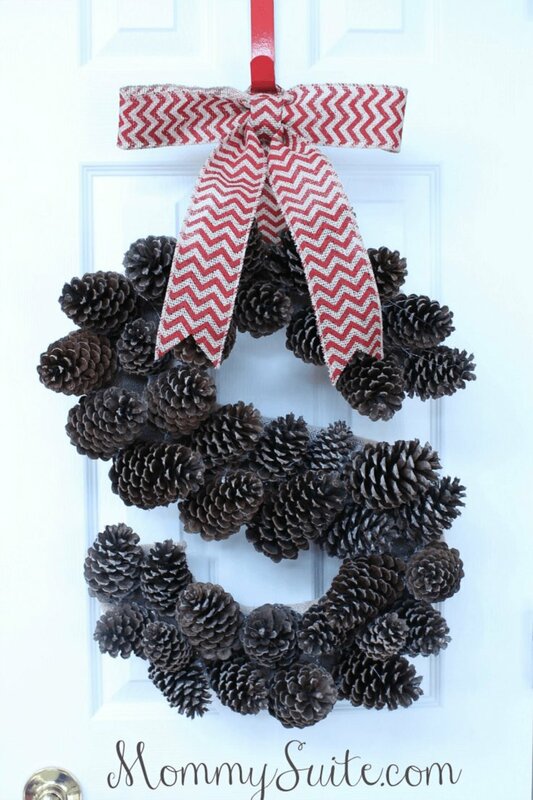 Unlike the rest on the list, this wreath doesn’t have the typical wreath form, it is a letter made out of pinecones! Depending on the letter you’ll choose, you will need approximately 40 pinecones, 2 pieces of foam board, 1/2 roll of burlap garland, 1 roll of burlap ribbon (or ribbon of your choice), x-acto knife, hot glue gun & lots of glue sticks. You can even give it away as gift!